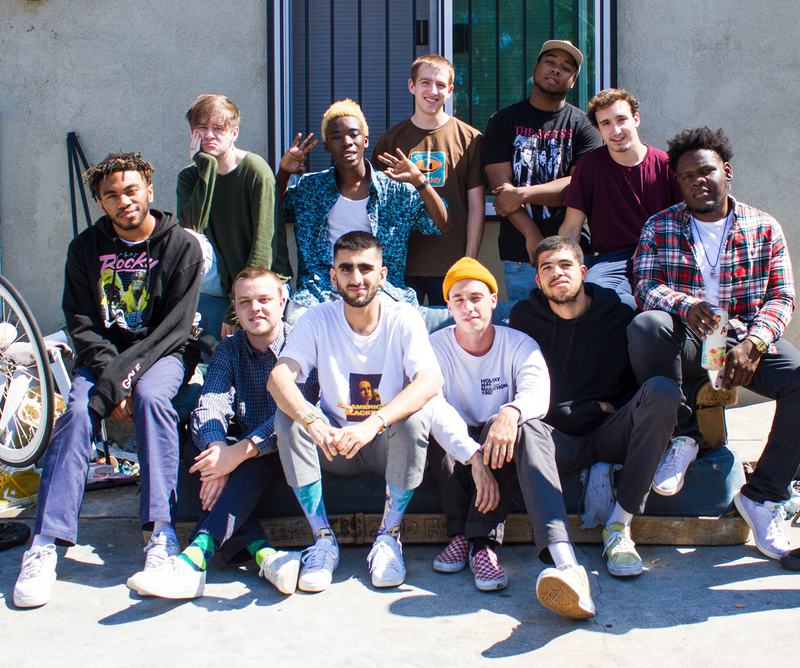 “iridescence” follows a trilogy of albums known as “SATURATION,” in which the band released three consecutive albums in a six-month period with similar themes. The group is made up of six vocalists and seven producers, designers and photographers. The 15-track album is reck- less and unpredictable with endless grinders, British rap and electronic music influences and impactful flavors. The flow is not as clean as the “SATURATION” trilogy but offers a different variety. Despite being a bit disorienting at first because of abrasive intros, auto-tune effects and dissonant melodies, if listened to from start to finish, it is clear the band put a lot of energy into this project. After parting ways with Ameer Vann, member of the vocal team, last summer before the release of a canceled album “PUPPY,” the band took a hiatus from music and social media. Coming out of the break to record “iridescence,” BROCK- HAMPTON had a lot to overcome with this project. Many critics have drawn too much attention to the gaps left by the missing member, but the focus should be turned toward how the group makes up for it with a new formula. While the LP may be loud, the group uses its vulnerability to its advantage with raw emotion and honest lyrics. Members Joba, Kevin Abstract and Matt Champion all rap about dealing with the pressures, expectations and repercussions of fame. The Texas-born, Los An- geles-based boy-band create an energetic and erratic but mature hip-hop album that features acoustic ballads, orchestral backtracks and sincere lyrics. In “WEIGHT,” Abstract speaks to member Ashlan regarding his mental health: “‘Cause I’m still worried ’bout when Ashlan (gonna) put the razor down.” It is evident the band deals with conflicts but care about each other’s well-being and are unafraid of vulnerability. In the same track, rapper Dom McLennon sings, “My mother called me today/She said she thought she felt my energy a country away.” The whole song takes on the pressure of fame and how it affects them individually. McLennon’s verse discusses how the distance and constant traveling has taken a toll on his relationship with his mother. “iridescence” is a surprising, diverse, heartfelt, boundary-breaking album. The mixture of elements is clearly present in “HONEY,” which starts out with a heavy dance beat and steady rap by Abstract. Halfway through, the song switches up by adding in a sample from Beyonce’s track “Dance for You” as Abstract sings and raps over it. “iridescence” is the first part of BROCKHAMPTON’s second trilogy titled, “The Best Years of Our Lives,” as labeled on the back of the album cover. Fans can expect BROCK- HAMPTON to challenge music norms with dynamic track lists and at least two more albums full of hits.